Bring a touch of the handmade to your table. Whether you want to fill the basket with eggs for Easter, ornaments for Christmas or a candle and pine cones for everyday, it's a great edition to your home. These custom made wooden baskets create a level of elegance like no other. 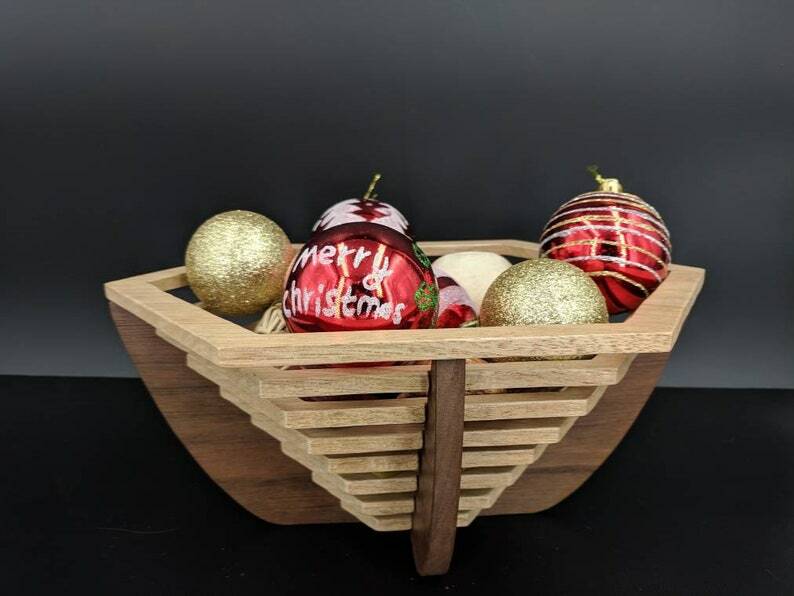 This gorgeous basket is made out of Walnut and maple hardwood. The blends of pale brown, chocolate and golden tones in the woods brings wonderful style to any centerpiece. It can go well in your kitchen as well as your living room to give any space character! The basket makes a lovely gift and it's perfect for any occasion! The baskets are 4.5 inches tall and are about 10 inches long by 5 inches wide. 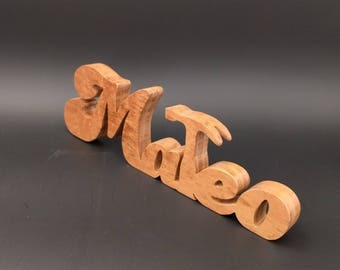 Ordered a custom-made wood name and done exactly as I ordered. Well packaged and fast shipping! Thank you! I love this!! 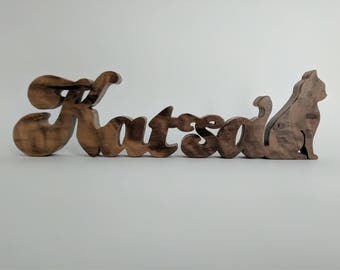 I had purchased one for myself and loved it so much I got one for my husband.